You are currently browsing the archive for the Canon 7D Mk II category. 1. SanDisk Extreme 8GB or 16GB Memory Card – You are going to need a high quality, high speed memory card to save all those images and capture those videos. Go with the best and don’t risk corruption and errors – a SanDisk Extreme. Perhaps a couple 8GB, 16GB, or even 32GB capacity Secure Digital (SD) cards to capture and store your photos – more if traveling. Use at least class 6 cards, or better yet class 10 if you will be shooting video. Be sure to check the Sandisk site for current rebates. 2. Canon LP-E8 Battery – You will probably want a spare battery, especially if you are traveling, or just for those times you forgot to charge the battery before going to an important event. Go with the official Canon brand and avoid battery communication and charging issues. If you are a fan of the optional battery back / vertical grip, the one for the T3i and T4i is the Canon BG-E8. The battery grip allows you to use 2 LP-E8 batteries for extended shooting, or six AA batteries, and also increases the size of the camera body, which some users find more ergonomically comfortable, especially when shooting in the portrait orientation. 4. Black Rapid RS7 Strap – This sling-style camera strap provides a more comfortable and practical – and somewhat more discreet – way to carry around your camera, especially if you have a larger lens on it. They also make a couple of slightly different versions of the sling-strap, such as one designed for women, and a active “sport” version. 5. Manfrotto 055XPROB Tripod Legs and Manfrotto 496RC2 Ball Head: This is an excellent “starter” combination of tripod legs and head for the enthusiast. They are sturdy and durable yet affordable. If you know you will be doing a lot of tripod work, such as for studio, landscape, or travel photography, it is best to invest in more advanced (expensive) versions, including lighter carbon fiber legs, four section legs that close to a shorter length, and a head with additional or specialized features. 6. Giottos Large Rocket Blower – Blow the dust off your lens, camera body, interior, and sensor safely with the Rocket Blower. Get the large size for maximum “whoosh!” Use with the LensPEN Lens Cleaning System to clean those fingerprints, smudges, and mysterious spots off your camera lens (filter) safely and quickly with the LensPEN. Brush off the loose spots with the brush end, “charge” the tip with a twist of the cap, then clean by “drawing” in a circular motion. Read the manufacturer’s instruction for complete details. 7. Canon 430EX II Speedlite Flash – Upgrade to the Canon Speedlite Flash to obtain more flash power and control for your low light pictures. Take advantage of the T3i’s wireless remote flash capabilities. Rotate and bounce your flash for more flattering indirect light, diffuse it and scatter it for less harsh shadows. Consider the Canon 580EX II Speedlite for more advanced needs. 7a. Stofen Omni Bounce Diffuser – Diffuse and scatter the light from your Speedlite flash with the Omni Bounce Diffuser to eliminate harsh shadows. Use it with your flash head at a 45 degree angle up, or to the side or behind you, as it is designed to be used. Don’t aim it straight on, and don’t use it outside. I don’t care if you see others doing that, even if they have a 5D and a big lens – they don’t know that all they are doing is wasting flash power and not affecting the results. 8. B+W Brand UV Filter – Protect your lens from scratches, dust, and impact damage with a high-quality, multi-coated B+W brand UV filter. It generally shouldn’t affect your image quality due to its high quality glass and coatings, and it just may save you from a $200 repair. Leave one on each of your lenses at all times, unless you are using another filter like the circular polarizer. Be sure to get the right size filter for your lens. 8a. B+W Brand Circular Polarizer Filter – Use this high-quality, multi-coated filter to dramatically darken skies, increase contrast, and cut through reflections. Turn the rotating lens to adjust the amount of darkening or reflection. 9. Canon EF-S 18-200mm f/3.5-5.6 IS Lens – After you’ve realized the limitations of the kit lens in both quality and focal range, pair your T3i with this high quality all-purpose “walk-around” lens, great for everyday and travel use. It provides the full focal range from wide angle to telephoto, and delivers excellent image quality, color, and contrast, as well as Image Stabilization to prevent blur from camera movement. 9a. EW 78D Lens Hood – And you will want the lens hood for the 18-200mm lens, to shade the lens from unwanted glare and flare and protect it from bumps and bangs. 10. M Rock Holster Bag – Carry and protect your camera and walk-around lens in a holster style bag from M Rock. I used the Yellowstone style extensively in my travels throughout South America, and I love its durability and extra little features like a built-in rain cover, micro-fiber cleaning cloth, zippered interior pocket, adjustable interior, and extra strap. Be sure to get the model that fits your camera body and lens-length. Bonus. Understanding Exposure by Bryan Peterson – If you don’t yet understand the relationship between aperture, shutter speed, and ISO, read this book immediately. This knowledge is essential to understanding and using your powerful dSLR to its full potential. For additional photography gear, accessories, and books, be sure to check out my dSLR Photography Gear, Accessories, and Books post! Anyway, I think it is well worth looking at the new autofocus system that the 1D X introduces as it will eventually find its way, in some form, into the pr0-sumer cameras such as the Canon 7D Mark II and hopefully the 5D Mk III. While those cameras won’t offer the 61 AF points and huge variety of customization options, they may incorporated the increased precision, low light sensitivity, better tracking speed, and the new algorithms that coordinate with the exposure system to detect and better track a subject by brightness, color, and even facial recognition (yes, even pros can use face-detection now!). What will will certainly see in the newer cameras is the redesign of the menus, incorporating an Autofocus tab and AF tracking presets! These are highly desirable features, as anyone who has attempted to fully take advantage of the 7D AF system knows how challenging it is to go between the AF menus and the Custom Functions to change to the desired settings while trying to decipher the cryptic C.Fn option names. The 1D X offers six AF “Case studies” presets, and there is no reason not to include all of these with the 7D replacement, since it too is a camera designed for sports and motion. Canon has just announced their latest, high-end professional model, the EOS 1D X. I don’t normally discuss the top of the line pro models (as this one is listed at $6,800) but instead concentrate on the consumer and pro-sumer level dSLR cameras. However I would like to look at some of the new feature of the flagship Canon 1D X that will – sooner or later – make their way down to the more affordable models. In the past we have seen some of the advanced features of the high end cameras later introduced into the consumer models in one form or another, including faster processors and shooting speeds, more sophisticated autofocus system features, and advanced custom functions that allow the user to modify the functions and controls to operate in a specific desired manner. And since the replacement for the 5D Mk II is imminent (Mk III? 6D? ), and the 7D Mk II probably around the same time (Feb 2012?) we are likely to see variations of some of these refinements soon in the consumer and pro-sumer models. 18 Megapixel full frame CMOS sensor. The high-end cameras have less megapixel than the consumer cameras because they are extremely high quality sensors and can deliver high image quality with a lower number of larger pixels. The 7D and 5D replacements, however, are bound to boast 21 to 26 MP or so. Refinements to the controls and their layout. This includes user-configurable buttons on the front of the camera, which has already been seen with the 7D to an extent, but will definitely be incorporated into the 5D Mk III (or 6D or whatever it may be called). A 61 point AF system with 41 cross-type AF points and five dual cross-type points for extra precision. The 7D and 5D replacements won’t have this many AF points, but perhaps will increase upon the 19 AF points of the current 7D. Zone, Spot, and AF Expansion autofocus Area Modes including 4 point and 8 point expansion. The 7D currently offers these as well (4 point expansion only, not 8), and the new 5D is certain to have these capabilities. Perhaps the 8 point expansion will be added to the 7D replacement. Refinements to the autofocus system, including a simplification of the complex AF related Custom Functions that are so difficult to explain and differentiate even with the 7D. With the new 1D X the changes include a new AF menu tab to easily access and change the AF options, and presets such as “Continuous shooting, ignore obstructions,” “Subjects that accelerate or decelerate quickly,” and “Instantly refocus suddenly with obstructions.” While specific combinations of the AF Mode, AF Area Mode and AF related Custom Function settings of the 7D already allows for these types of settings, these new, easy to access presents are a welcome change from the previous difficult-to-decipher (much less remember) Custom Functions such as AI Servo Tracking Sensitivity and AI Servo AF Tracking Method. Additional changes to the AF system include “Intelligent Tracking and Recognition” which incorporates color and face detection in order to more easily assist the photographer on focusing on a subject’s face when tracking a moving subject, such as a dancer or sports player, rather than perhaps focusing on a closer hand, racquet, or jersey. Now even the pros will be using face detection! And focusing is improved in even very low light. 12 frames per second continuous shooting speed with full autofocus and metering, plus up to 14fps possible with the mirror locked up when shooting JPEGs. While the 1D X offers 12 and 14 frames per second shooting, it is unlikely that the 7D and 5D replacements will be capable of more than 8 or 10fps, though any increase is sorely needed for the 5D. Higher ISO capability. The ISO performance increases with just about every new sensor, so any of the new cameras are bound to have improved high ISO performance – probably not as incredible as the 1D X, but improved from the current models. Faster start-up time and shutter lag. This is always a welcome improvement. Easy one-touch 100% zoom during image playback to the area of the image where the active autofocus point is located, in order to quickly check for sharp focus in the area of the image that should display the sharpest focus. Dual DIGIC 5+ image / data processors. The 7D has dual Digic 4 processors, and the new 7D and 5D are certain to have improved processors, which assist with overall camera speed including continuous shooting speeds, multiple exposures, and writing files to the CF memory card. A processor also assists with metering and autofocus. Multiple exposures between two and nine shots with various options for combining the frames, plus chromatic aberration correction and peripheral illumination correction. HDR shooters and those wanting to shoot multiple exposures will appreciate a new 7D or 5D with these in-camera capabilities, and the chromatic aberration correction may also find its way to the lower level cameras. The 1D X “deploys a 100,000-pixel RGB metering sensor and a new metering algorithm. The sensor is used to detect a subject’s brightness, color and face and based on this evaluative metering or evaluative flash metering is executed. This data is also communicated to the AF system to assist with subject tracking.” New models typically bring an improvement in the metering system, and while the new 5D and 7D won’t have this level system with 253 zones over the previous 63, they will certainly have these same types of improvements made to their current systems. Plus / minus 5 stops of exposure compensation. This is already a feature of the 7D and will be a welcome addition to the 5D replacement, especially for those shooting HDR. Various video improvements, including longer shooting times, manual audio level control and adjustable live level meters, some compression and timecode features. There are several features that videographers will appreciate and many will definitely find their way into the new 7D and 5D, which are already extremely popular cameras for dedicated videographers. 3.2-inch (diagonal), 1,040,000-dot rear LCD screen with “ClearView II” technology and extremely durable glass screen. This is slightly lager than the 3″ screen of most of Canon’s dSLRs, but I’m not sure if a new 7D or 5D will see much of a size increase here. Built in LAN Ethernet port. This is a new feature for a Canon. While most of them allow for an optional wireless transmitter, this wired version is built right in. I don’t see this being added to other cameras quite yet. Twin CF memory card slots, which can be used in various configurations. Some heavy shooters and videographers might like to see this on a new 7D or 5D, to (I’m speculating here) separately save stills and video, or JPEG and RAW, or use the second card for overflow, or save dual copies of all files. Canon’s second generation self-cleaning sensor unit, which uses “carrier wave technology” to better coax the small dust particles gently down the surface of the (filter in front of the) sensor to the collecting adhesive strip at the base. New EOS System Monitor screen showing total shutter actuations, serial number, and firmware version. This would be a welcomed addition to the 7D and 5D, though it always seems Canon is hesitant to make it easy to see shutter actuations on a consumer camera. There are a variety of other additions and improvements to the EOS 1D X, but these are the features that are likely to be incorporated into the more affordable consumer and pro-sumer models. Some I am certain we will see in the following months when the new versions of the 7D and 5D are released, and some will eventually make their way into the 60D replacement and perhaps, in time, even into the Rebel models. 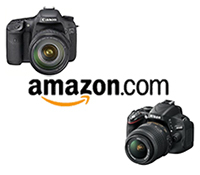 I have completed an e-book camera user’s guide for the Canon EOS 7D called Canon 7D Experience. Like all my previous Full Stop camera guides, Canon 7D Experience explains not only the features, functions, settings, and controls of the camera, but also – and more importantly – when and why to use them in your photography. This includes metering modes, aperture and shutter priority modes (Av and Tv), advanced autofocus use, and more. It also describes all the Menu settings and Custom Function settings – with recommended settings. The guide also thoroughly explains the versatile and sophisticated autofocus system, which helps to make this such a unique and powerful camera. Click on the cover image below or click here to learn more, preview, and purchase Canon 7D Experience.